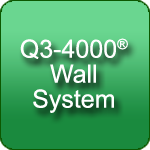 The Q3-4000 GRIDLESS® Ceiling Filter System is a revolutionary, economical approach to achieving your clean air requirements in rooms of all classes. Through the use of an innovative, patented latching system, filters and lights are suspended below a unidirectional suspension strut. The ceiling is constructed and installed completely from the roomside. There is no need to lift the filters up into the plenum before putting in place. Time-consuming squaring of T-Bar grid, deep plenums and expensive gels are things of the past. Installation is as simple as hanging threaded rod and turnbuckle assemblies from the ceiling as you would for a traditional grid system. Suspension struts are then run in one direction across the room and leveled. The filters and lights are now ready for installation! There is no need to square the grid or pour sealing gel. Now, simply lift the filters and lights into position and secure each latch with a quarter turn. 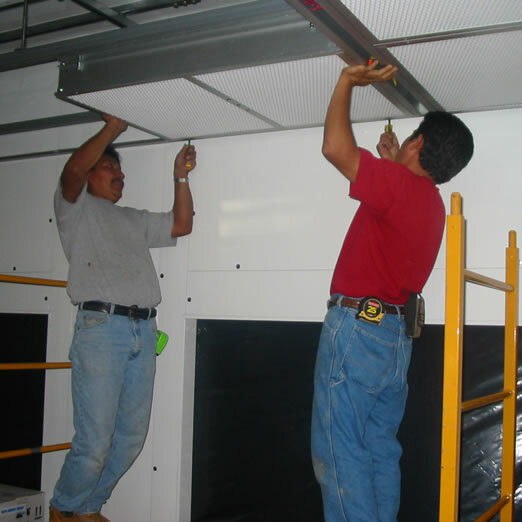 Once all units are in place, finish the ceiling with a factory recommended metallic or non-metallic seal. 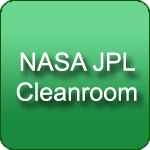 (Installation or construction supervision is available). 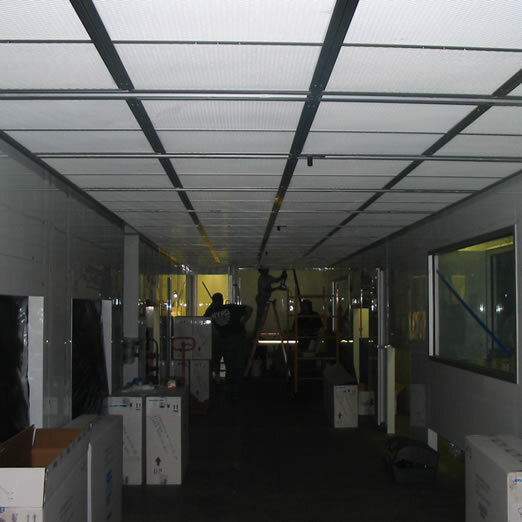 The Q3-4000 GRIDLESS® Ceiling Filter System is completely modular and portable. Since each row is independent of all others, lights no longer have to be installed in long lines. 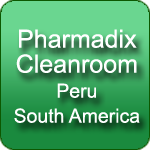 And due to its advanced design, the entire ceiling can be relocated with a minimum of time, effort and cost. 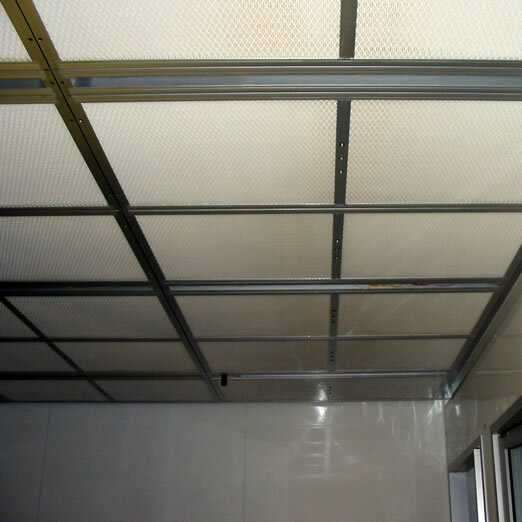 Filters for the Q3-4000 GRIDLESS® Ceiling Filter System are available in all styles, including HEPA-HOOD® Ducted Modules, PERMA-HOOD® Roomside Replaceable modules, fan filter units, or any combination. 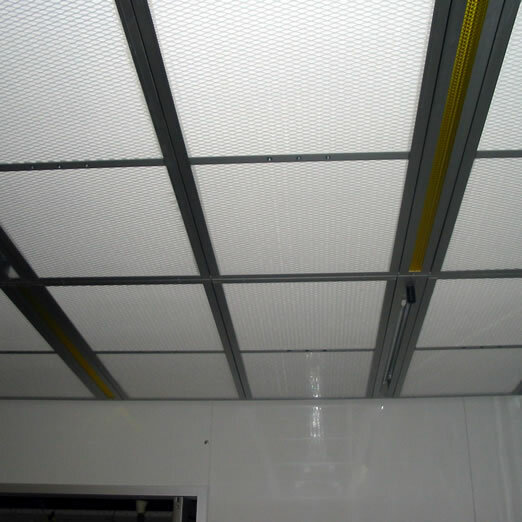 Fire suppression ports, with or without sprinkler assemblies, and ultraviolet absorbing light lenses are other options. 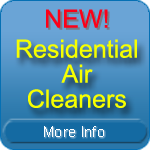 Filters that install and replace in seconds! Lighting exactly where you want it!